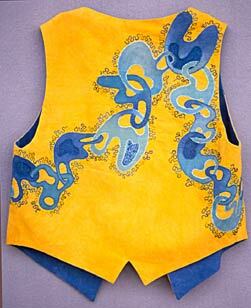 Making Connections is my way of experimenting with needle lace and is used in the cut out areas to see through to the lining. It also uses bobbin drawing. My own 100% cotton hand dyed fabrics are used. 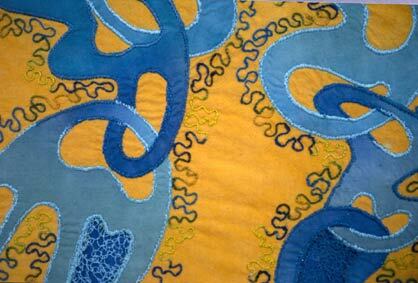 Machine appliqued. 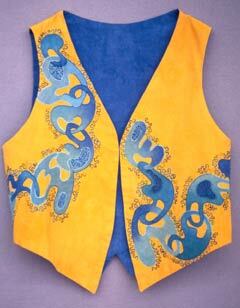 This vest received a third prize in the clothing division of the 1998 NorthEast Quilt Festival.